From eligibility criteria to how it will affect current childcare provisions, here’s our rundown of what the new Tax-Free Childcare scheme will mean for your family finances. The Tax-Free Childcare scheme is a money-back scheme whereby working parents can get 20% of the cost of their annual childcare costs, up to £2,000 per child per year. For every 80p you or someone else pays in, the government will top up an extra 20p. This is equivalent of the tax most people pay – 20% – which gives the scheme its name, ‘tax-free’. The scheme will be launched in early 2017, and available to all eligible families by the end of that year. Working families where both parents work or one parent works in single-parent families. The scheme will be available for children up to the age of 12, and for children with disabilities up to the age of 17. Unlike the current scheme (Employer-Supported Childcare), self-employed parents will be able to get support with childcare costs in Tax-Free Childcare. Tax-Free Childcare doesn’t rely on employers offering the scheme, unlike the current scheme Employer-Supported Childcare. Any working family can use the Tax-Free Childcare scheme, provided they meet the scheme’s eligibility requirements. Yes, each parent must earn less than £100,000 a year. So two parents in one family each earning £99,999 will still be eligible. Parents who are currently eligible for tax credits (Universal Credit) will not be eligible. Also, families with two parents where just one parent works will not be eligible. A spokesperson for the Deputy Prime Minister’s Office told, that they expect some exemptions to apply, “for example, where one parent is unable to work as they are a carer or disabled” or where one parent is in full-time education. The government has said it will “consult on whether other circumstances should be taken into account”. Are there any particular winners and losers? Under the current Childcare Vouchers system, parents can exchange up to £243 of their gross salary per month for vouchers, which cover all forms of childcare up to the age of 16 and are exempt from tax and NI contributions. This means that parents in the basic rate tax bracket can save up to £933 a year, those in the higher bracket up to £623, and anyone earning over £150,000 up to £606. The maximum any family can save is £1,866 – if both parents’ employers offer a voucher scheme, and both are basic rate taxpayers. 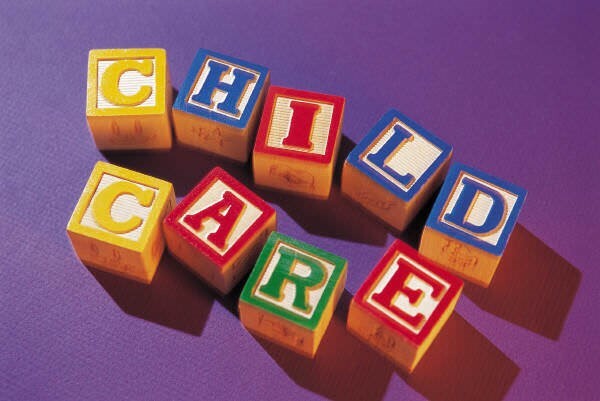 Currently, only 5% of companies support the Employment Supported Childcare Scheme (ESC – ‘childcare vouchers’). From 2017, the Tax-Free Childcare scheme will be compulsory for employers. Tax-Free Childcare will be open to more than twice as many parents as ESC. The new scheme will be an online voucher system that you register to use. Parents will be able to open an online account, and then pay money into it as and when they like, topped up by the government. You’ll therefore have the flexibility to pay in more in some months, and less at other times, so you can build up a balance in your account to use at times when you need more childcare than usual, for example, over the summer holidays. It’s also not just the parents who can pay into the account – if grandparents, other family members or employers want to pay in, then they can too. Parents will be able to use the money for any Ofsted regulated childcare in England, and the equivalent bodies in Scotland, Wales and Northern Ireland. What happens between now and 2017, when the new scheme comes into force? Working parents can still join Employer-Supported Childcare. You do not have to switch to Tax-Free Childcare if you do not wish to. ESC will continue to run – and there will be a transition period when ESC will remain available to new entrants, until April 2018. Parents won’t be able to register for Employer-Supported Childcare after April 2018, but those already registered by this date will be able to continue using it for as long as their employer offers it. Please feel free to contact us on 0208 249 6007 or via email info@outsourcedacc.co.uk if you need any further information.